Our first hot sauce review of the year is also a first for the company that makes it. 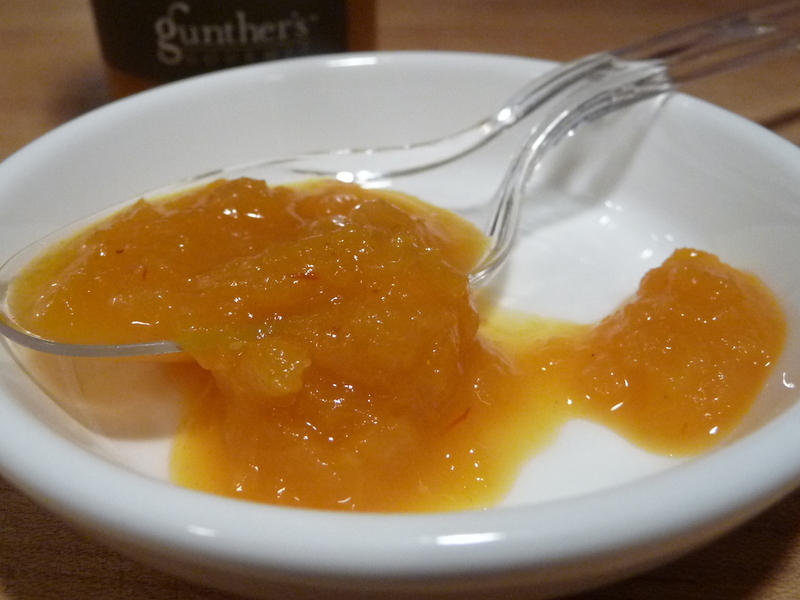 Gunther’s Gourmet has long been known for their incredible salsas, vinaigrettes and gourmet marinades. 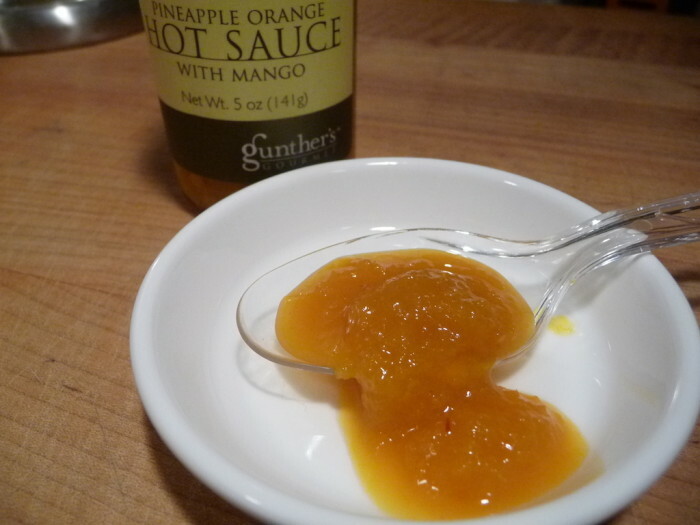 Pineapple Orange Hot Sauce with Mango is their first hot sauce release. And we think they nailed this one – right out of the gate. We are big fans of pineapple based sauces; hot sauces, salsas, BBQ sauces and glazes. So when Gunther’s finally came out with their first ever hot sauce, we were pretty excited that it was a pineapple sauce. Ingredients: crushed pineapple, orange juice, mango puree, distilled vinegar, apple sauce, lemon juice, tamari (water, organic whole soybeans, salt), pure honey, habanero peppers, roasted garlic, spices and salt. Contains: Soy. 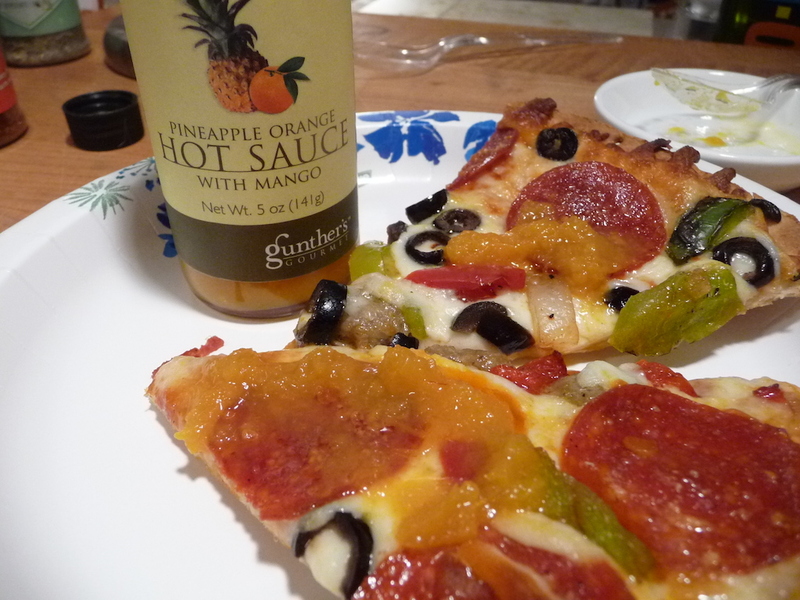 Texture & Appearance: The crushed pineapple provides a nice pulpy texture to this sauce, with plenty of chewy bits. The mango puree helps fortify the texture while helping the orange juice give this sauce a great color. The texture makes this a bit of a challenge to coax out of the bottle, but I would not want to change the texture. Maybe a wider mouth bottle? Taste Straight Up: The initial taste is of sweet pineapple, blended perfectly with light citrus and garlic tones. Then comes a gradual buildup of heat from the habanero peppers that warms the entire mouth without overwhelming the flavors of the other ingredients. Heat Level: – Right in the middle of the scale – the classic habanero heat is strong, but short-lived. It is not overpowering, and the sweet pineapple comes through as the main flavor. A great balancing act! Label/Graphics: Staying with Gunther’s classic label style, the pic showing the fruits is perfect for any gourmet store shelf or roadside stand. Final rating: – Five stars – our highest rating. A perfect complement to pizza, omelettes, poured on cream cheese, as a dip or glaze for meatballs or pork chops, and much more. A perfect first hot sauce from an outstanding salsa maker. 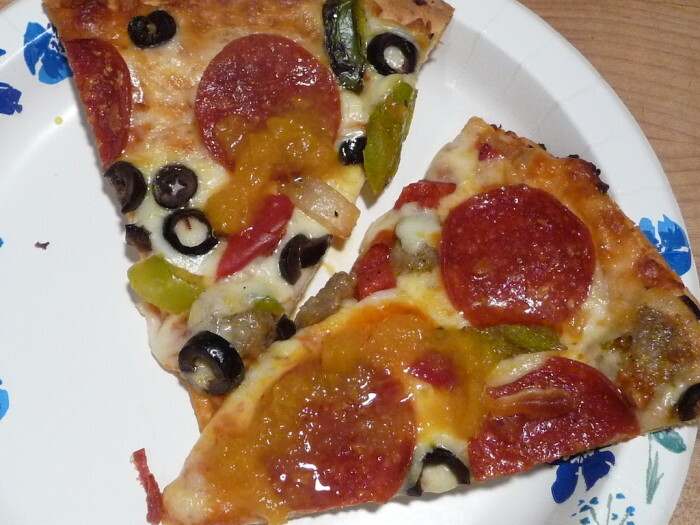 Social Media: Follow Gunther’s Gourmet on Facebook. 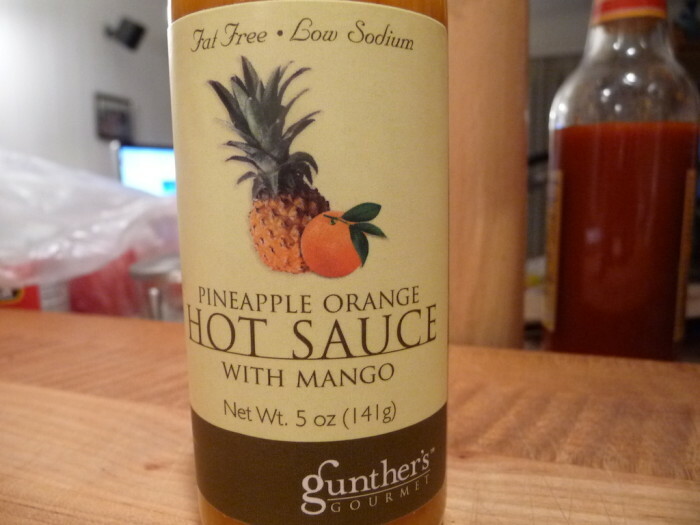 Visit GunthersGourmet.com for this hot sauce and all of their great salsas and marinades. 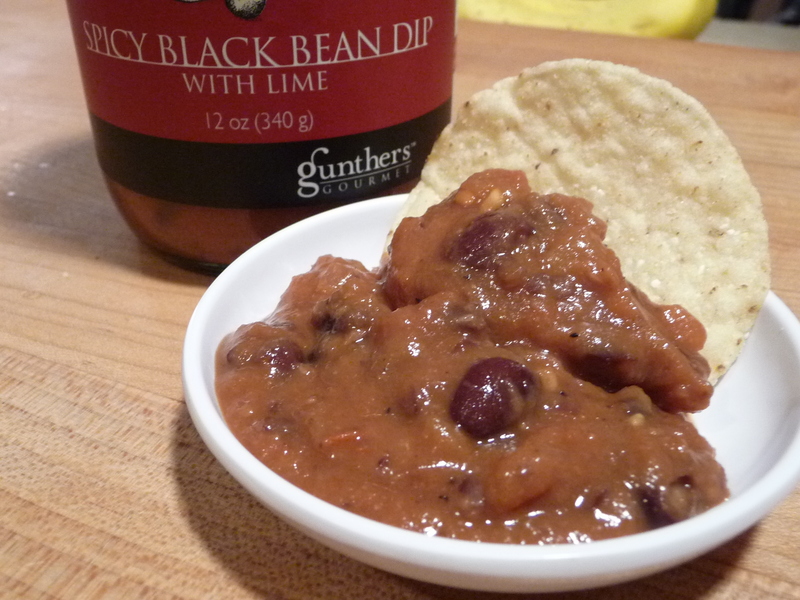 We were very pleased to receive a jar of Spicy Black Bean Dip with Lime from our friend, Chef Michael Lampros, Gunther’s Gourmet head honcho and creative genius. Known throughout the industry for his salsas and vinaigrettes, he’s won multiple Scovie Awards in addition to many Chili Pepper Magazine’s Fiery Food Challenges. We’ve always enjoyed Michael’s products, but the fact that this was called a dip and not a salsa made this product even more intriguing.